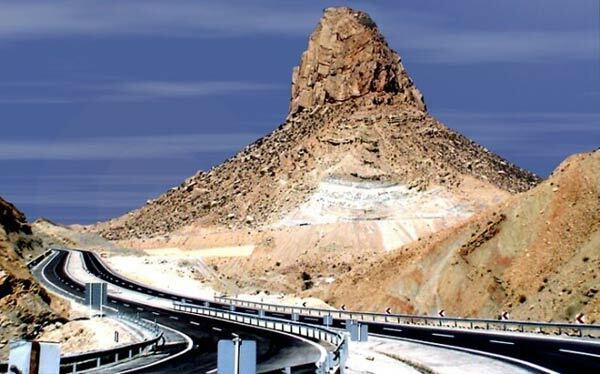 Mount Pardis in Iran's Bushehr province is the nearest distance between the earth and the sun, according to Iranian researcher and archaeologist Badie' Dashti. Pardis is the starting point of Zagros mountain range and the resting place of Noah's Ark, Mehr News Agency reported. Dashti, who is working on her PhD thesis in London, has researched the issue extensively, with the holy Zoroastrian book Avesta being a good source of her research. In the town of Jam, located between Bandar-e Kangan and Firuzabad, there is a special mountain, called Kuh-e Pardis (Pardis Mountain), which is highly respected by local dwellers. The herbs growing there is said to have various medical benefits. In addition, there grow exceptional dates used for making diabetes pills and sugars. According to Badie Dashti, a UK-based researcher, an underground historical site is located some 50 kilometers away from Pardis Mountain where the remnants of a historical village include columns and the collapsed ceilings of houses were unearthed one meter below the surface. Referring to her exploration of the historical site of Jam, she has also come across some artifacts at the summit of Pardis Mountain. She believes that the recently discovered area dates back to at least 20,000 years ago. It is said that there is evidence which shows the existence of a fire temple on the top of the mountain in which oil had been used in the ancient times. The locals refer to Mount Jam as "Pooz", because its summit resembles a snout. Some have referred to the mountain as Padri which means paradise in Avestan language. However, the mountain is widely referred to as Pardis. Another interesting matter with the mountain is that if you park your car near it and release the manual brake, the mountain will drag the car to it due to a wonderful magnifying zone covering about 50 - 100 meters around the mountain. This magnetism has caused many drives who are not familiar with the mountain to collide with it. Mount Pardis has still remained rather unknown even to the nation wherein it is located.